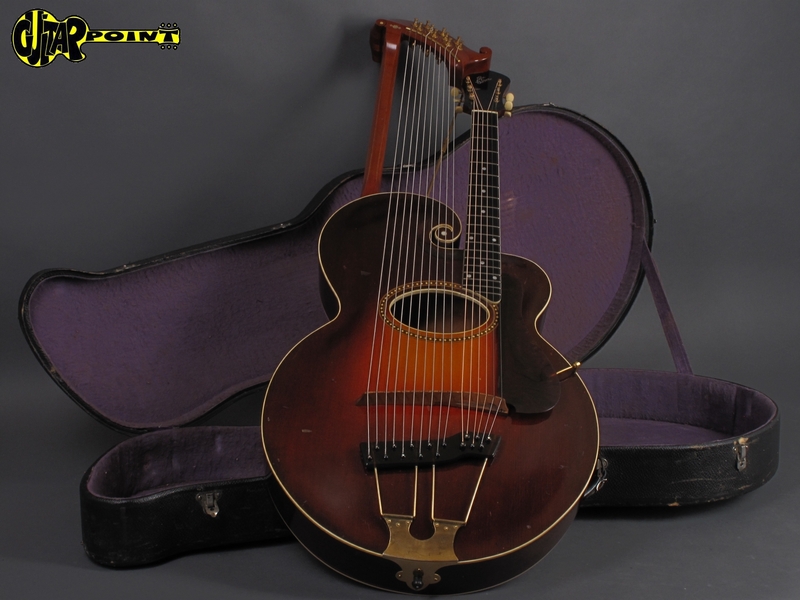 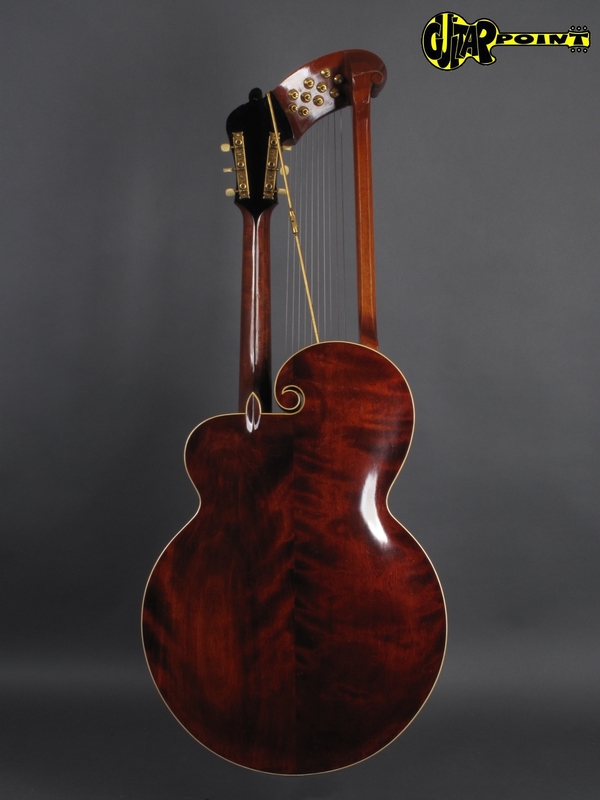 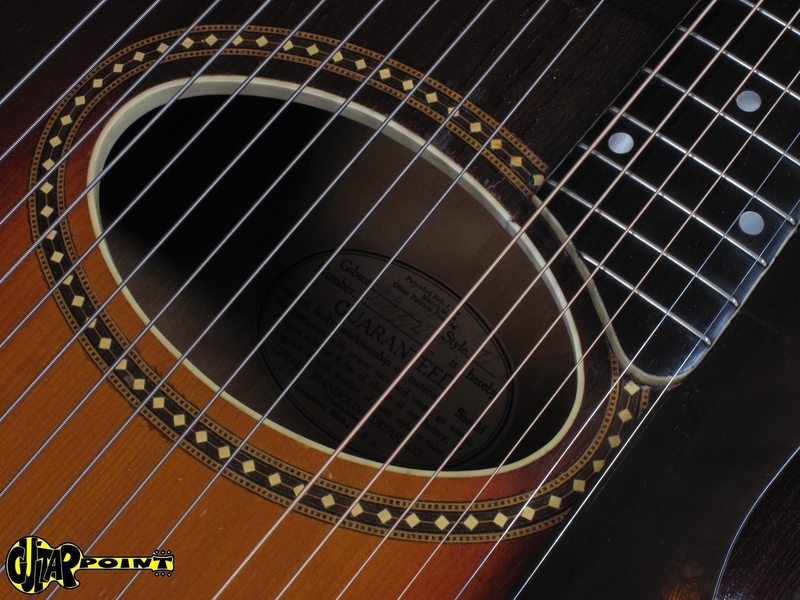 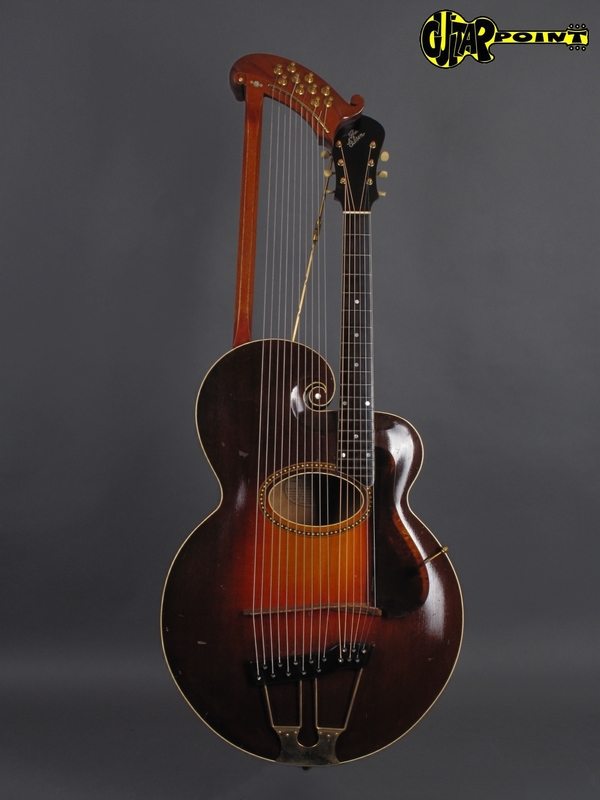 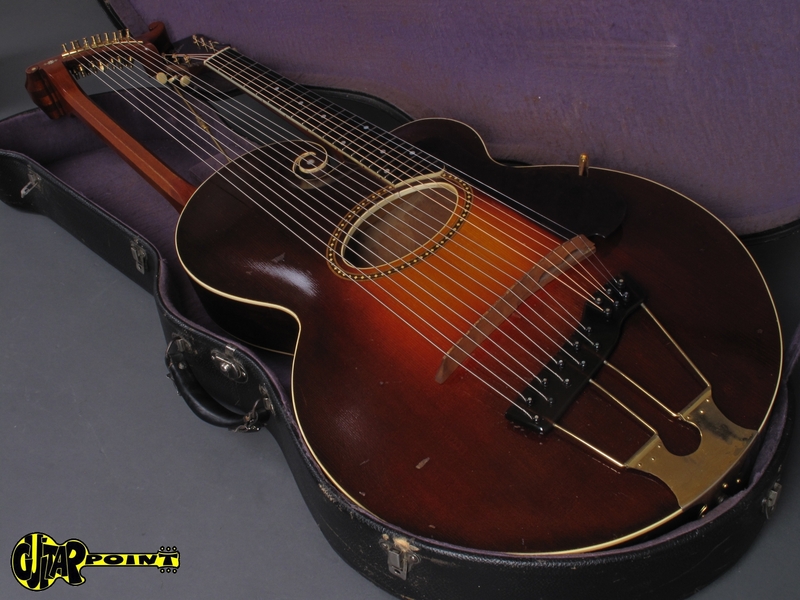 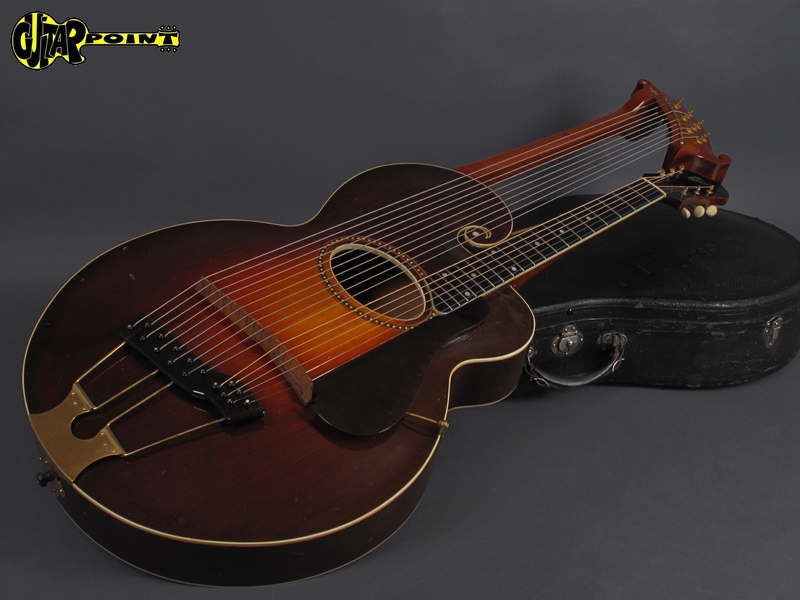 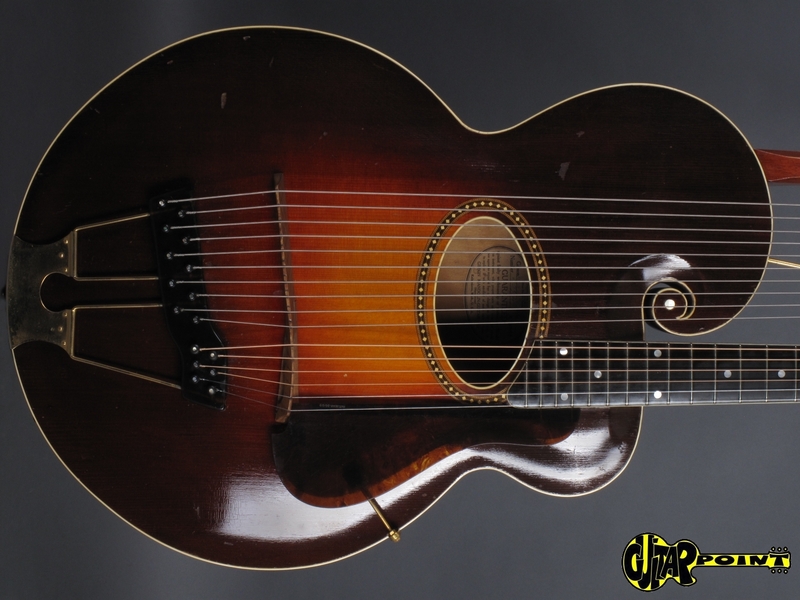 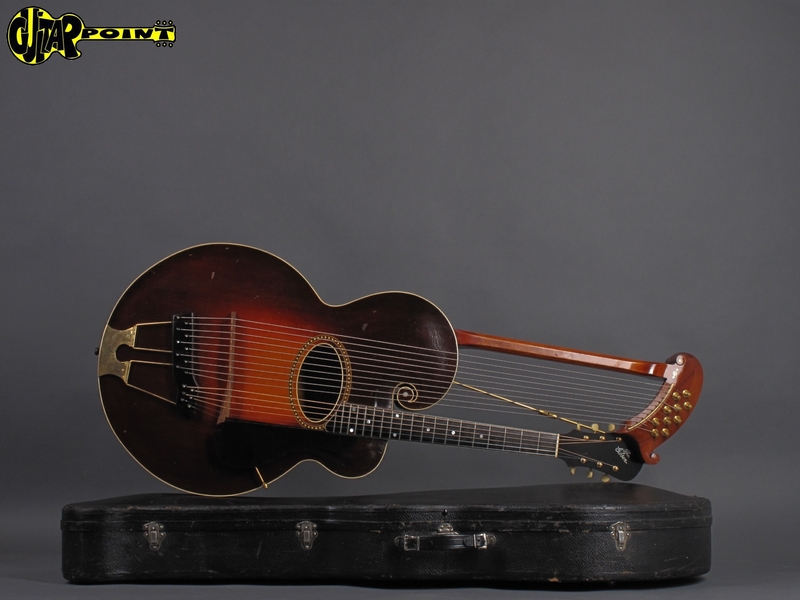 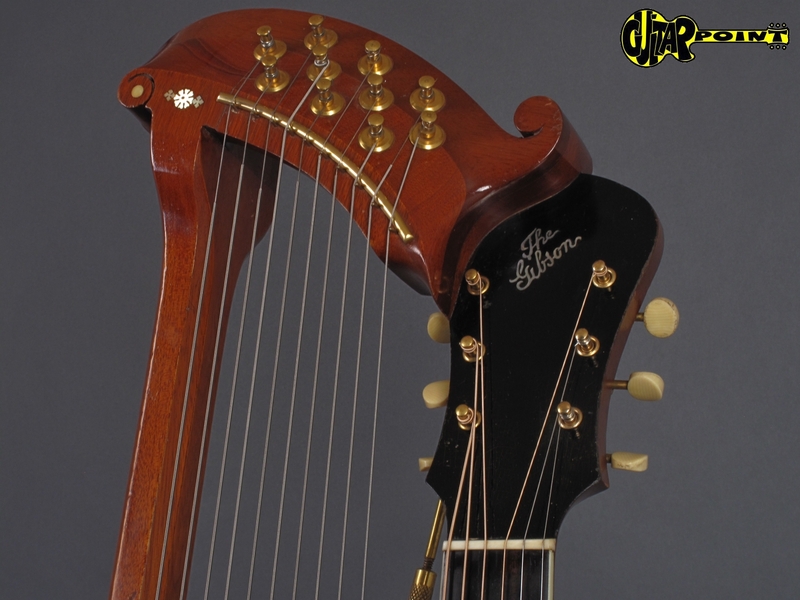 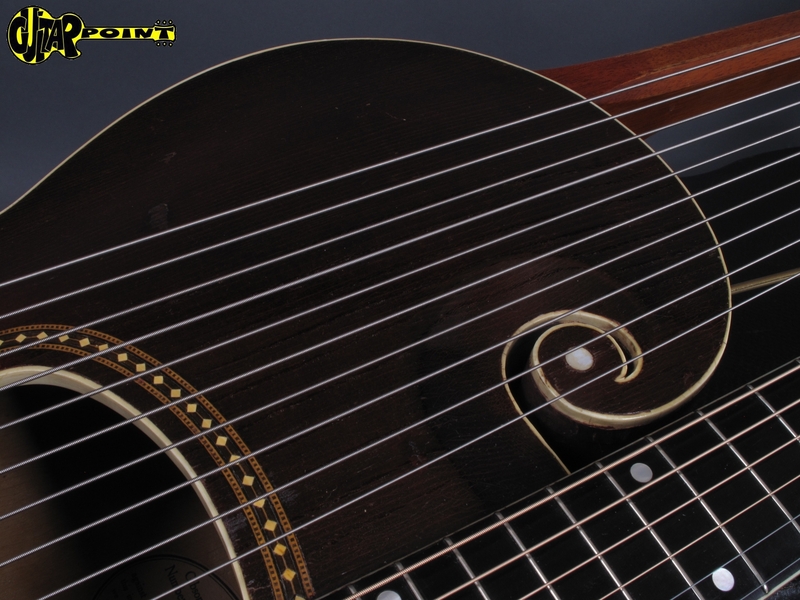 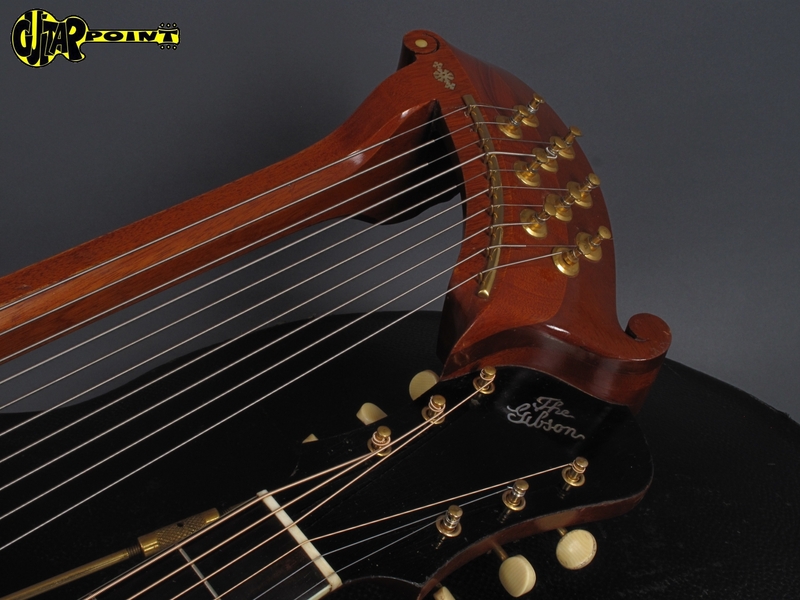 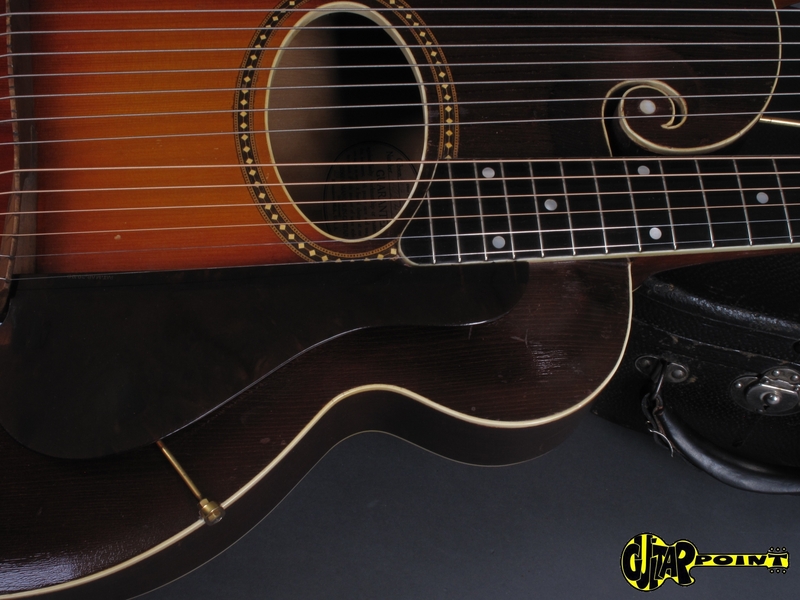 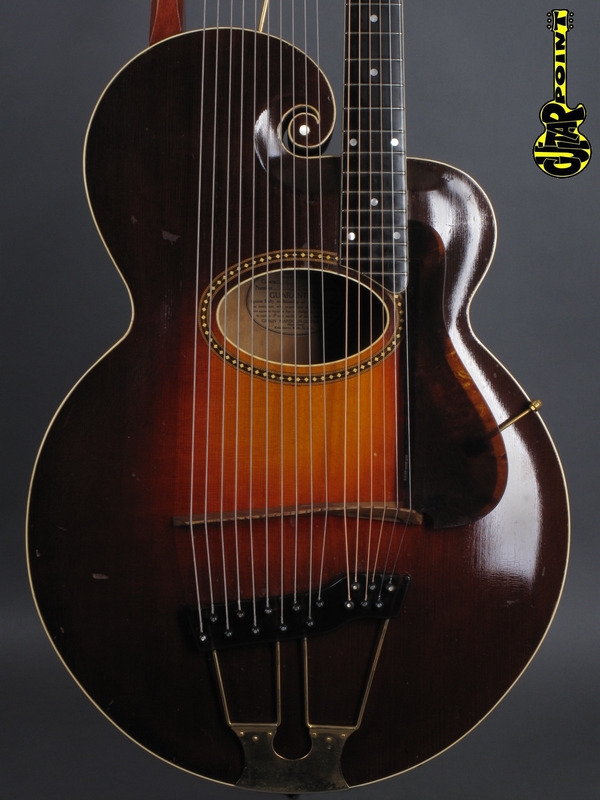 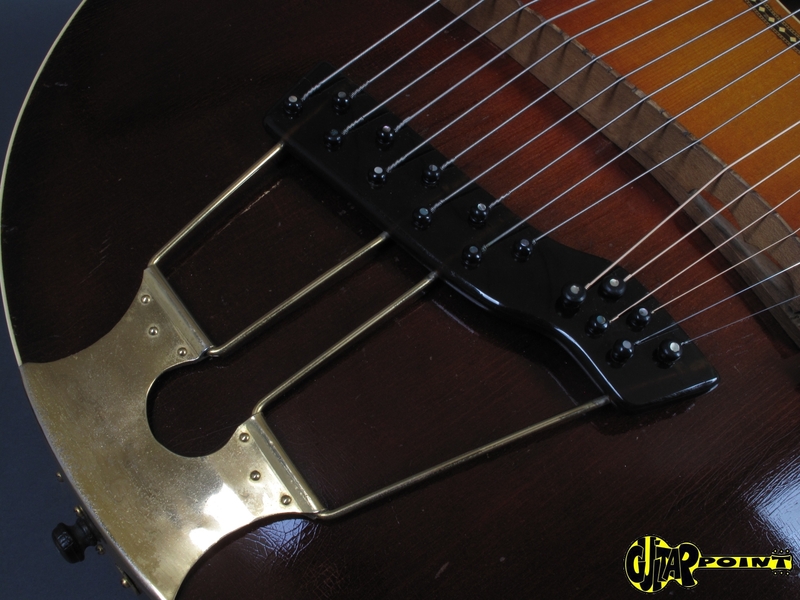 Super clean and all original 1919 Gibson Style-U Harp Guitar in excellent condition. 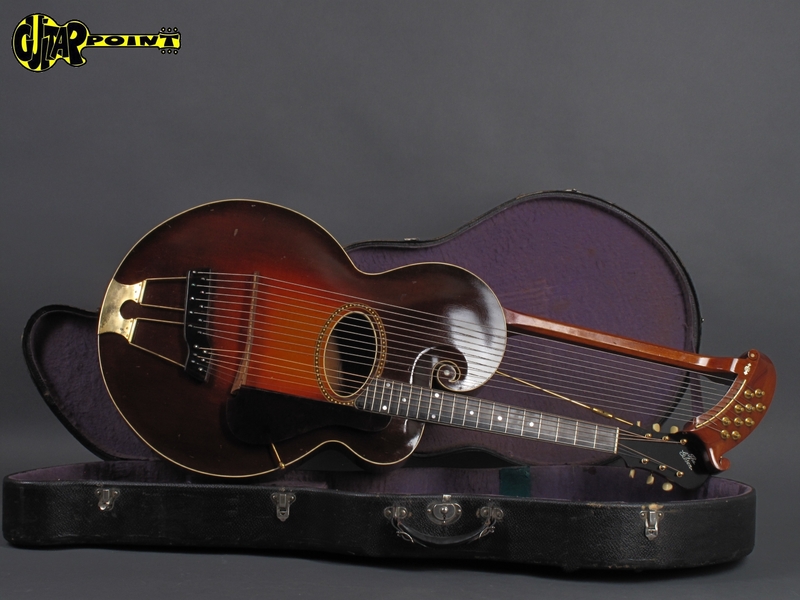 Unbelievable, this unrestored (!) 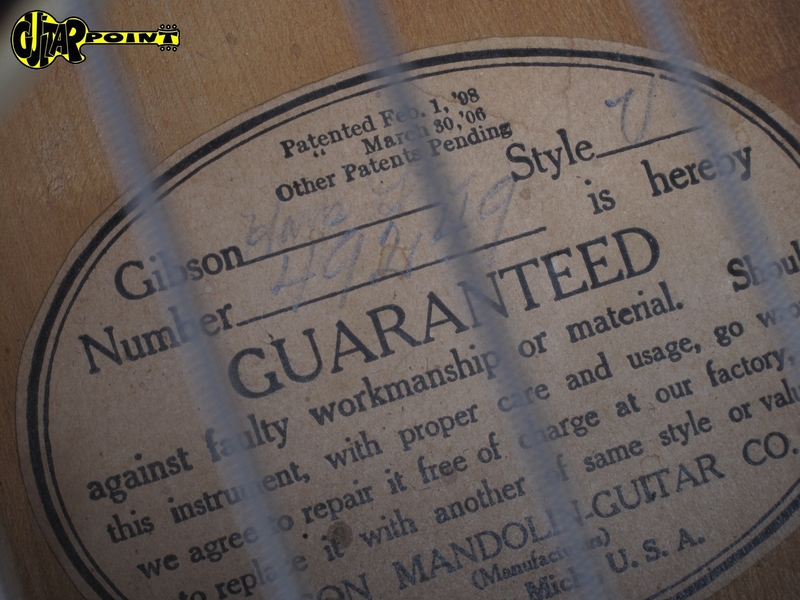 guitar is almost 100 years old! 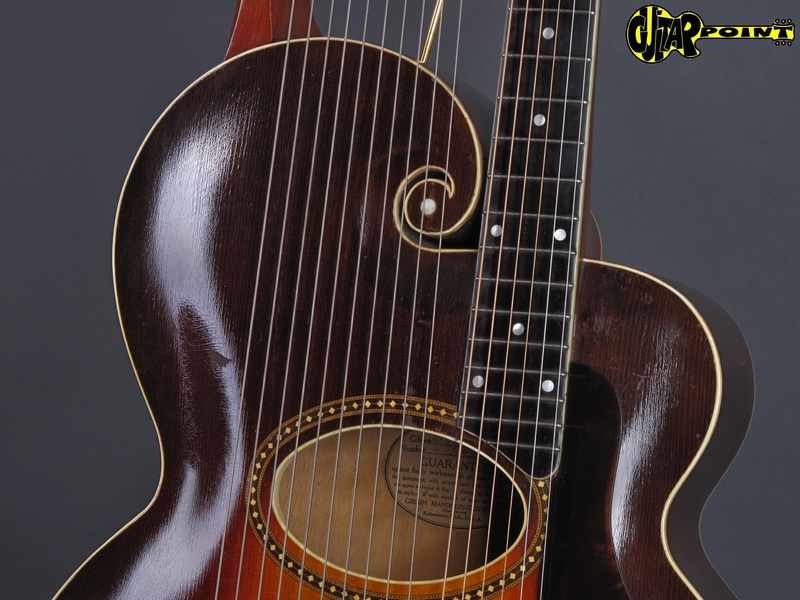 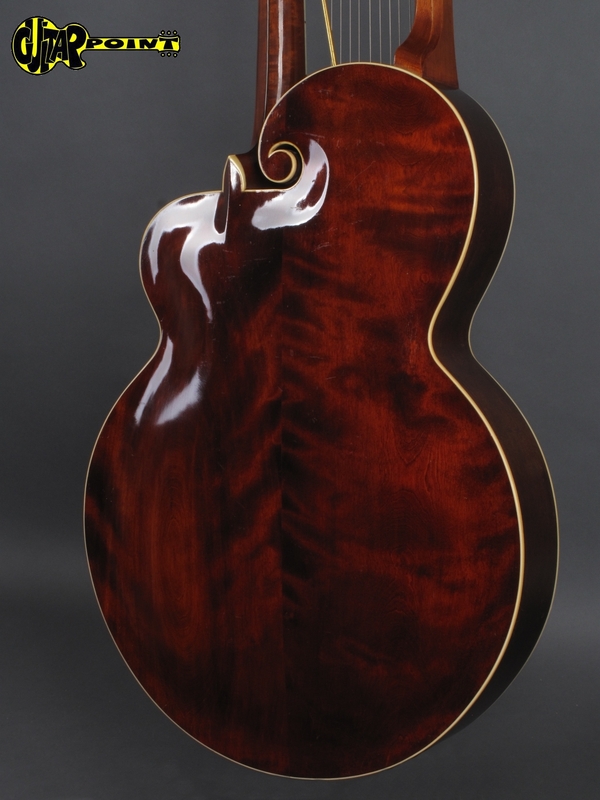 Beautiful woods and highest craftsmanship combined, this is a great and very impressive example of american Guitar history. 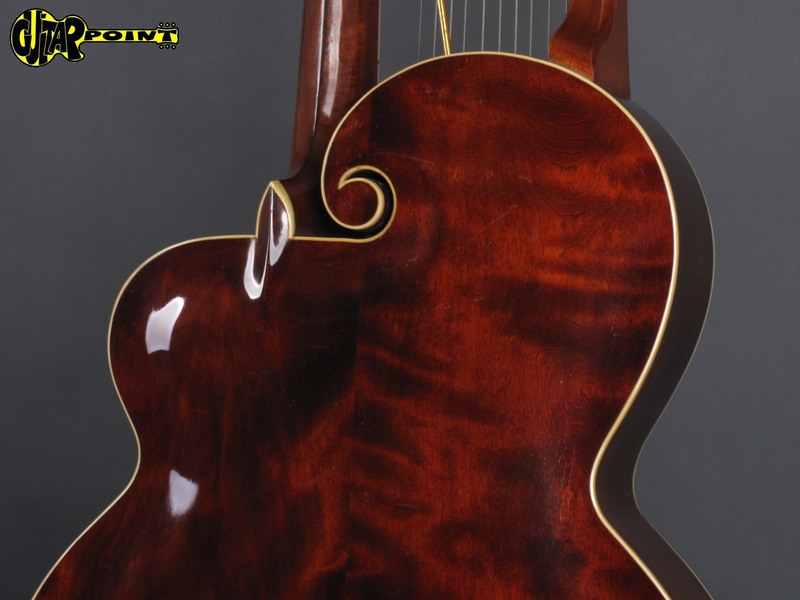 Both necks are streight, no cracks or hidden repairs, this Style U is definately one of the cleanest example we´ve seen so far, this is the first model we see with gold-plated hardware! 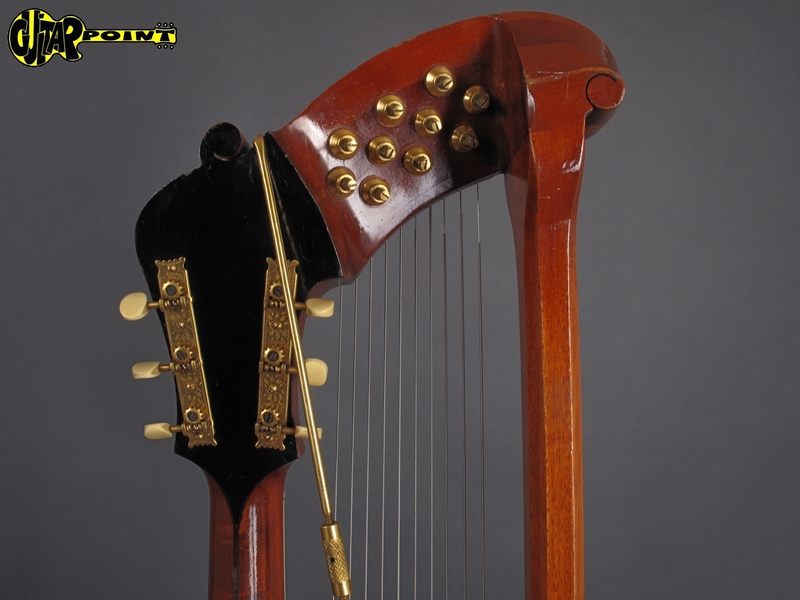 Playes great and sounds amazing! 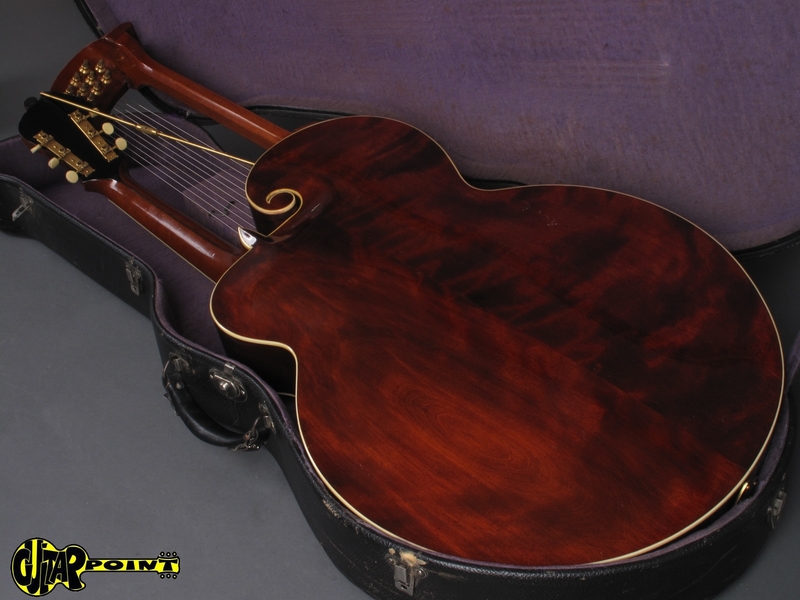 Comes with its original black hardshell case with lila lining.